If you know me, then you know I heart coffee cake big time. I seek it out, I crave it, and I go absolutely bonkers when I find a good one. Rarely do I make it myself….. I don’t really know why that is, maybe from sheer fear that I will eat every last crumb and share none. I get stingy and greedy when I have a good piece of coffee cake in front of me, it’s kinda funny to see. 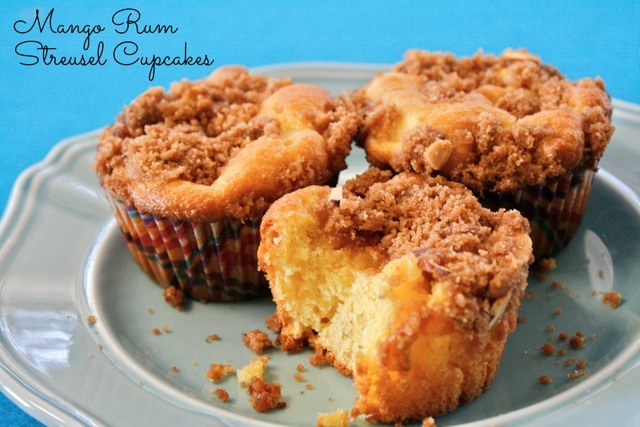 Here is my solution to a piece of coffee cake…. I made coffee cupcakes…. that way I will know exactly how many I’m eating and it forces me to share. In this case, I curse the cupcake, but I know it’s the right thing to do. Mix cake mix according to box, by mixing cake mix, oil, water and eggs together until combined. Line a cupcake pan with cup cake liners. 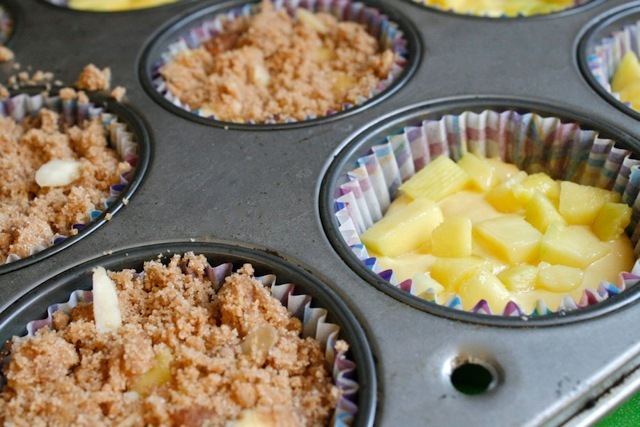 Add 1/4 cup of batter to each cupcake holder. 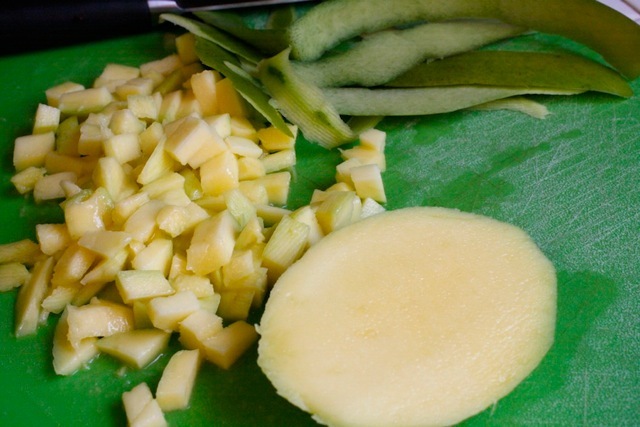 Peel and cut mango into small cubes. 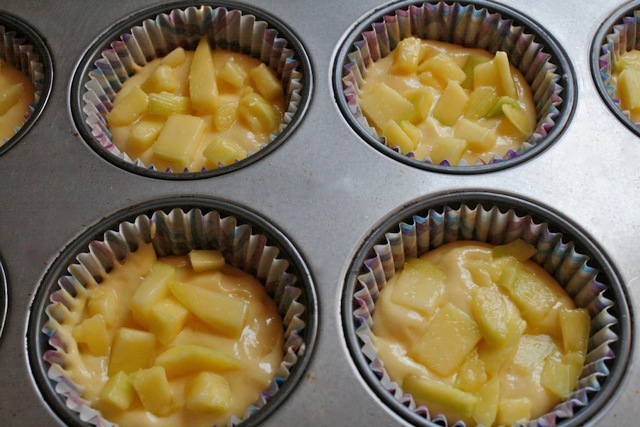 Then add a teaspoon of mango to the top of each cupcake holder. Set to the side. 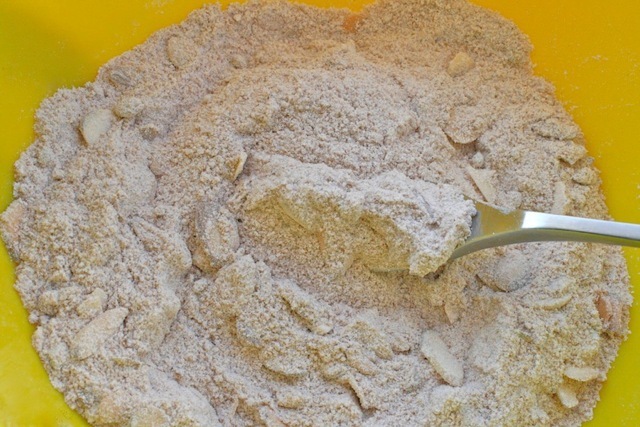 In a bowl combine flour, almonds, sugar, brown sugar, and cinnamon. Give it a good mix. 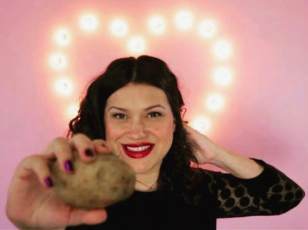 With the tips of your fingers bend in the butter until fully incorporated. 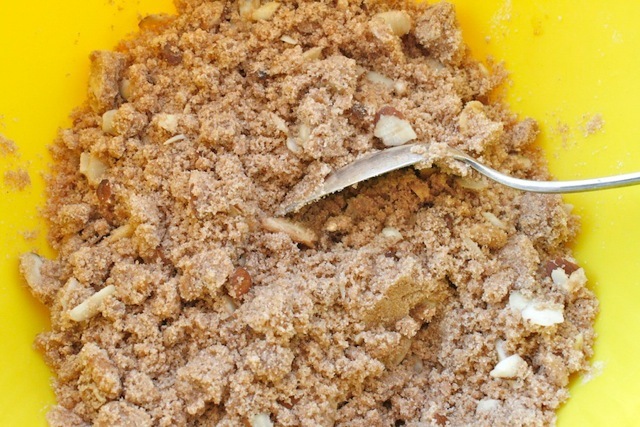 Once streusel becomes crumbly, pour rum over the top then toss crumbly streusel to combine. 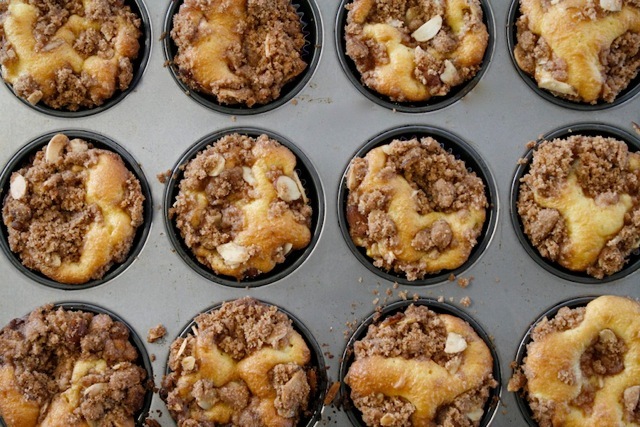 Top each cupcake with 1 teaspoon of streusel. Bake for 22 minutes or until a toothpick inserted in the center comes out clean. Filed Under: Presley's Panaderia "Bakery"